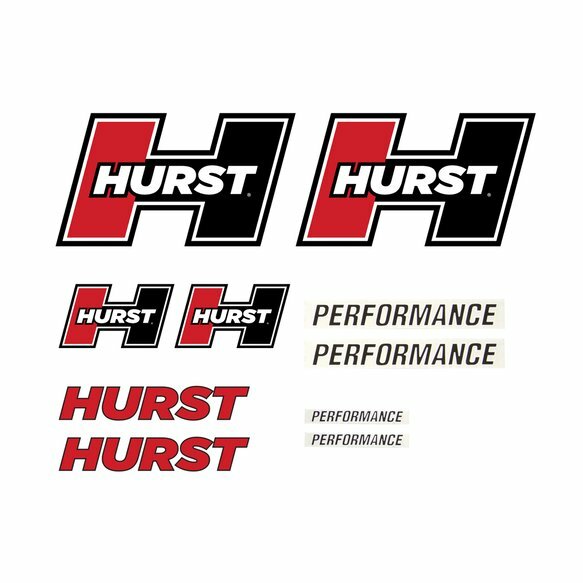 Reminiscent of the iconic Hurst Performance cars built and offered throughout the muscle car era, this Hurst decal pack allows you to set your car apart from the crowd. Constructed with the highest quality gloss vinyl laminate materials and made here in the USA, these adhesive graphics are easy to install using the included applicator and detailed instructions. Each kit includes ten separate decals including two large Hurst logos (4.0 in x 7.0 in), two large Performance decals (0.8 in x 5.7 in), two small Hurst logos (2.0 in x 3.6 in), two small Performance decals (0.4 in x 3.8 in) , and two Hurst block letter logos (1.0 in x 5.7 in). Although these were originally intended for the front quarter panels, rear deck and hood, they can be installed in just about any location desired. The kits are offered in two color combinations; Red/Black/White and Gold/Black/White and have been carefully designed to show well over any paint color. Go ahead, let the world know that you're serious about performance!